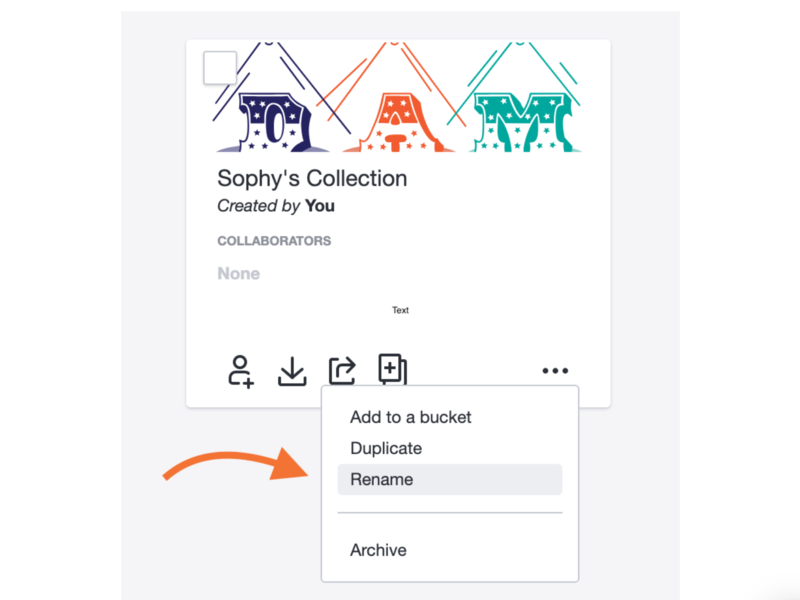 Change the name of a collection you created. Go to the My Collections page at the top of the navigation. Locate the collection you wish to rename, and hover over it with your mouse and click the Ellipse (...) icon. Rename will be an option. Rename the Collection in the pop up that appears.